We have just the treatment for you if you want to get your teeth straightened but you have no desire to wear metal braces! Invisalign is soaring in popularity because it straightens teeth just like braces, but Invisalign has some wonderful advantages. These advantages include better comfort, shorter treatment time, easier oral hygiene, and no food restrictions. Perhaps best of all, Invisalign is practically invisible! Most people won’t even know you are wearing the straighteners. At Genuine Family Dentistry, we are excited to help people restore a beautiful smile through the use of Invisalign. 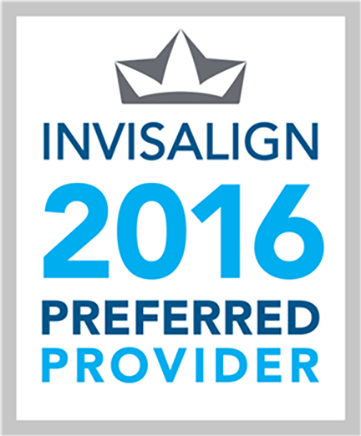 Dr. Paul Athanasius is proud to be a Preferred Provider for Invisalign. We would love to sit down and explain the exciting opportunities that are waiting for you. Please call today and set up an appointment for a FREE Invisalign Consultation!